Don’t have time to read all the recipes now? Pin the image to save for later. There is a controversy currently about whether a keto diet is safe for children. You may think that by reducing their carb and sugar intake, that you are depriving them of essential nutrients. However – there is a good reason why the ‘normal’ kid foods (for example cereals), are so heavily fortified – because they don’t offer adequate nutrition on their own. Children need significant amounts of fat and iron in their diet to grow and develop properly – especially infants and toddlers. Fats and iron is especially important in brain development. Additionally, it is hard to argue that a diet low in sugars, high in nutrients and amino acids, and free of additives is bad for children. If you are already following a keto diet and want to get the rest of your family on board, or if you want to get started with the keto diet and are looking for delicious recipes everyone will love, then you’ve come to t he right place. 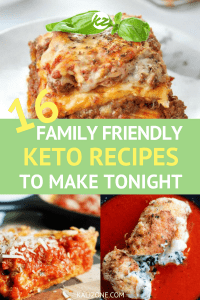 I have put together a selection of delicious, easy-to-prepare family friendly keto meals that the whole family will enjoy. They might not even realise that anything is ‘missing’! If a recipe claims to come together in 5 minutes, it is going to be high on my list dinner recipes to try. Serve this BBQ Cheddar Bacon Meatloaf with a crisp, fresh salad for a light summertime meal, or with roasted broccoli for a hearty, cold-weather meal. 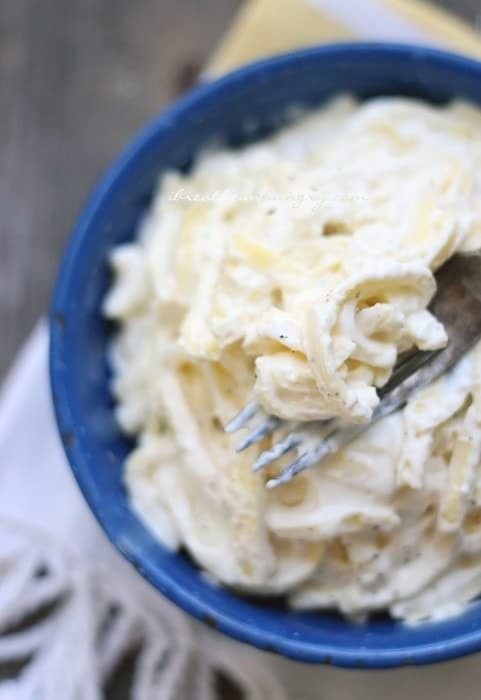 At 4.6 net carbs this Low-carb Chicken Alfredo is a much better alternative to the carb-heavy original. It is a flexible recipe – switch out the asparagus for broccoli, or even mushrooms. 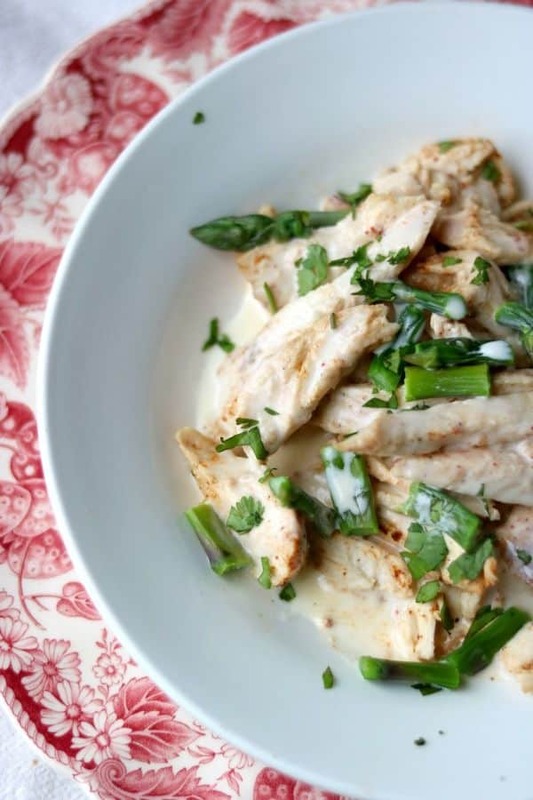 If you prepare the chicken on a ‘meal prep’ day, then this recipe can come together really fast. Get all of the flavours of take-out sesame chicken, but none of the carbs. My husband loves sesame seeds – he is always looking for new foods to sprinkle toasted sesame seeds on. So I know this one will be a winner! 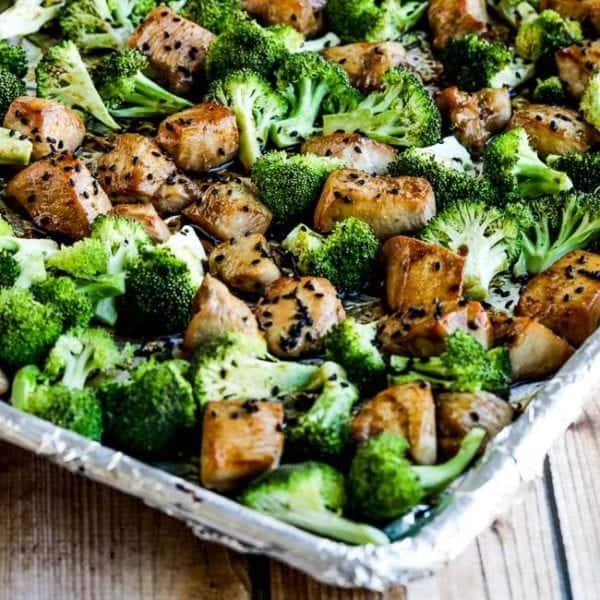 This Low-Carb Sesame Chicken And Broccoli Sheet Pan Meal takes less than 30 minutes to cook, but the chicken does need to be marinaded for at least 4 hours. Friday night pizza night is an institution in many households. 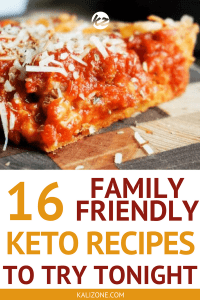 We love our pizza, so finding a good keto alternative was important. There are a few options out there – using cauliflower, or schredded chicken, for example. 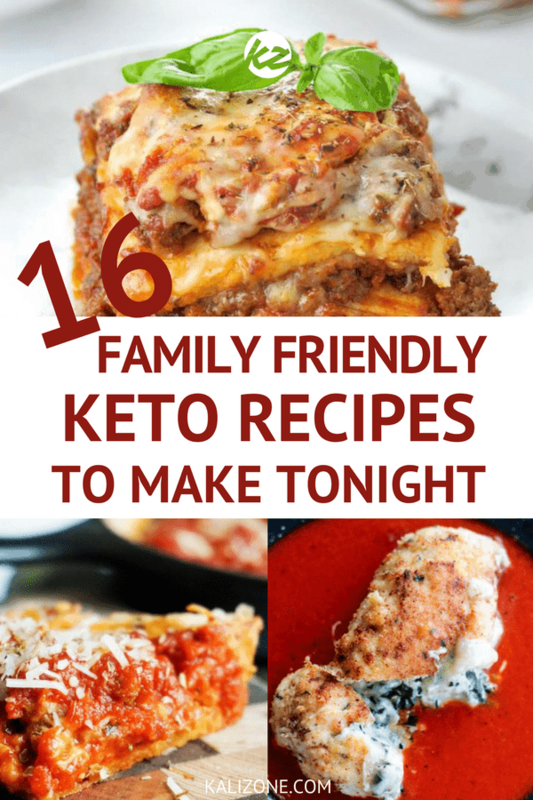 My favourite option is using keto fat head dough. Fat head dough uses mozzarella cheese and almond flour – and is delicious! Growing up, the only way I would eat cauliflower was when it was covered in a creamy white sauce, and topped with melted cheese. While I have expanded on the ways I will eat cauliflower, I still love eating it this way. 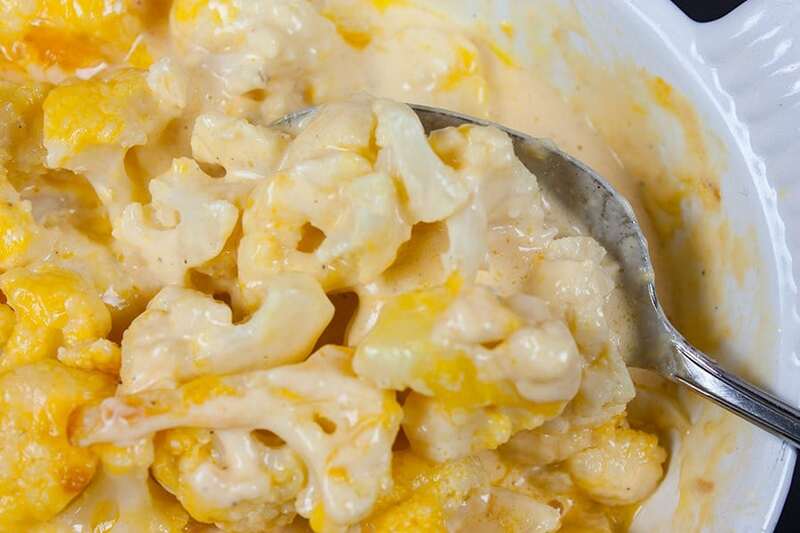 A standard white sauce uses flour to thicken it up, but this Cauliflower Mac and Cheese uses cheddar to thicken it up. Finding a low carb pasta alternative is no easy task. Spiralised veggies are great – but they are a little too crunchy to be a proper replacement. And low carb shirataki noodles… well, those take a while to get used to. This flourless keto pasta claims to have just the right ‘bite’ that it feels like you are eating the real thing. 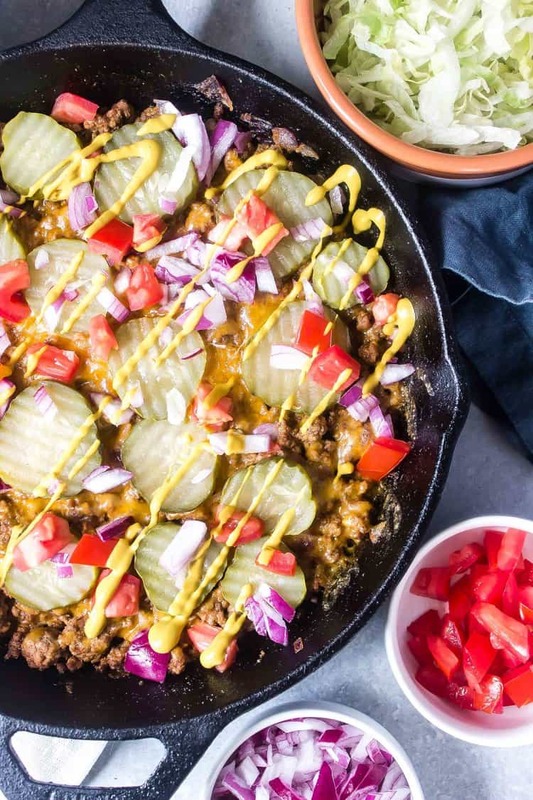 This Keto Cheeseburger Casserole Skillet looks so fresh and tasty, I don’t think I would even crave fast-food cheeseburgers after this! 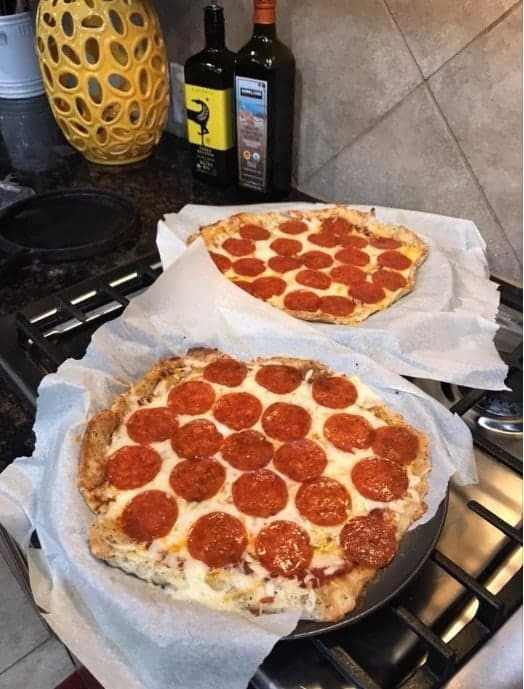 Not only that, but if you are trying to convince your kids and/or significant other to try out a keto recipe, pizza will probably do the trick. 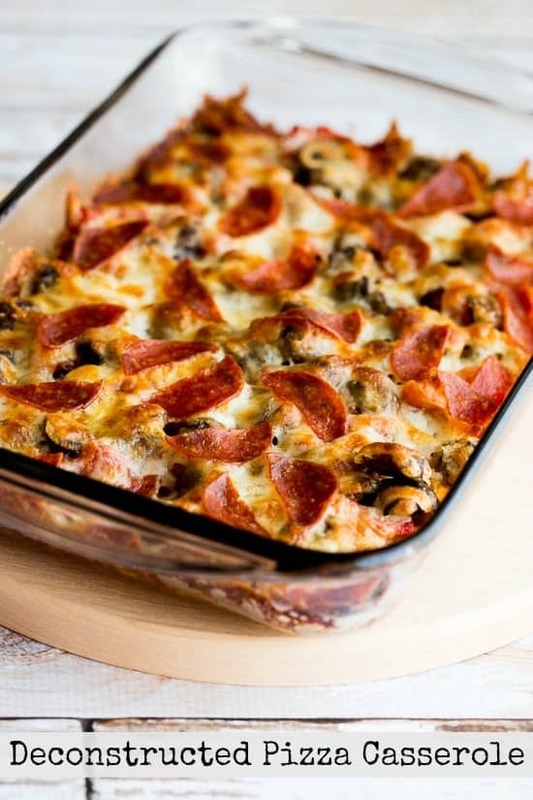 This Low-Carb Deconstructed Pizza Casserole skips the base entirely and just focuses on the ‘toppings’. One pan meals are great for those evenings when you’re tight on time – quite to make and quick to clean up! 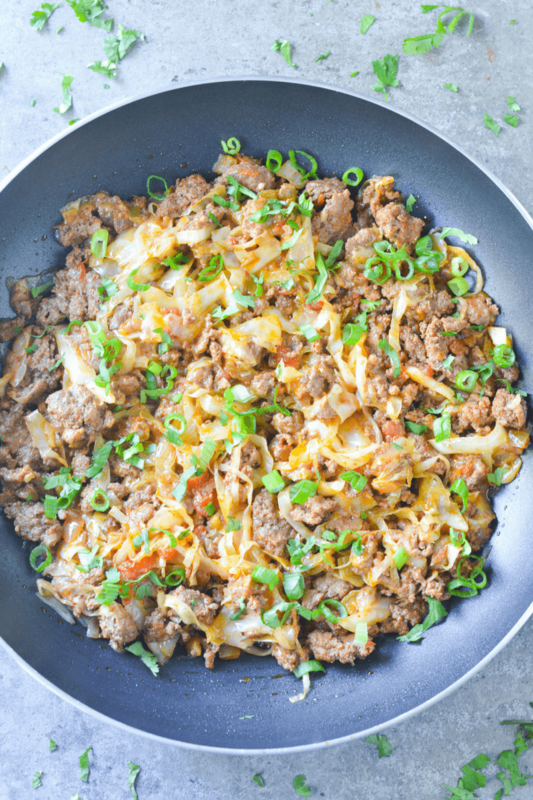 If your family enjoys Mexican food, then you should give this Low Carb Taco Cabbage Skillet recipe a try. The star of meal is cabbage – with only 2.3g of net carbs per cup. (In fact – the whole meal comes in at only 5g net carbs). Have you ever almost drooled over a picture on a food blog? 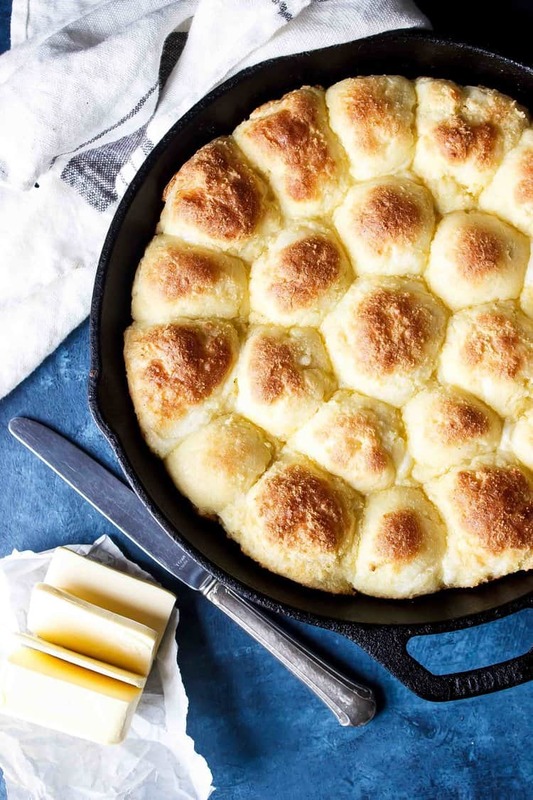 I could just stare at these Keto Dinner Rolls for ages. They look amazing. The recipe is based on fat head dough, and they come out soft a pillowy. You may be avoiding curries due to the time it takes to cook, but this Suuuper Creamy & Easy Butter Chicken takes only 45 minutes to an hour. Keep it low carb by serving with cauliflower rice instead of standard rice. Chicken pot pie is one of those ultimate comfort foods in winter. And the find of meal that most people enjoy. 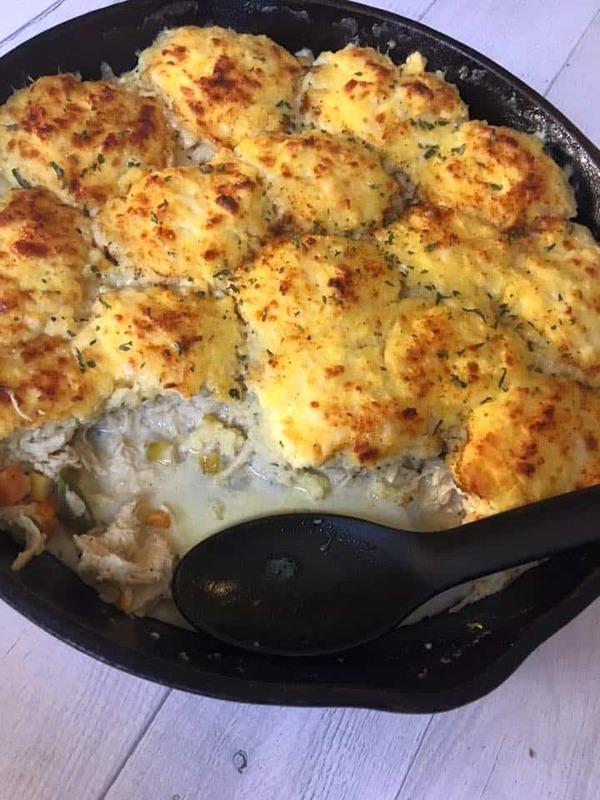 This Keto Chicken Pot Pie uses coconut flour for the topping, to reduce the carbs, so one serving comes in at only 2.6g net carbs! 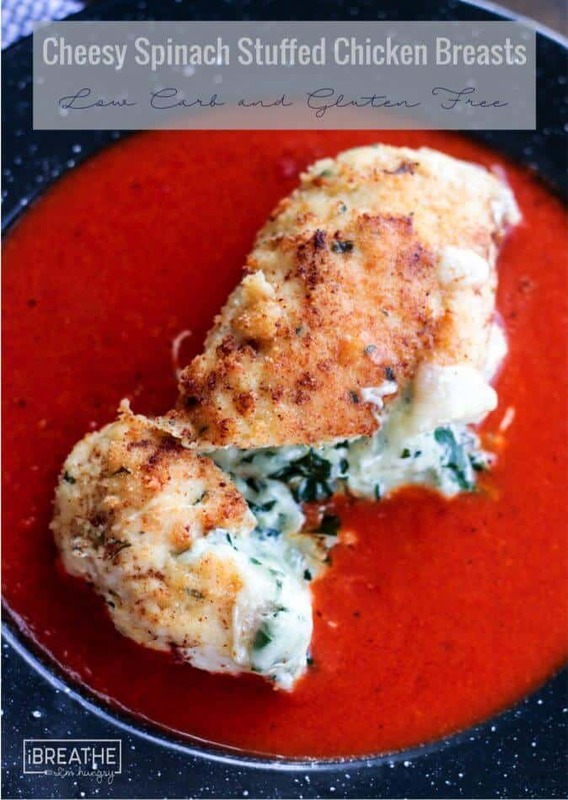 If you have a family that is not big on eating vegetables, this Keto Cheesy Spinach Stuffed Chicken Breast manages to sneak them in really well. 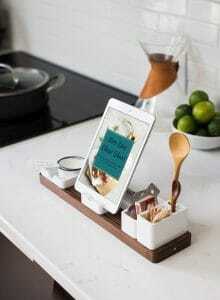 While there a few steps to putting this recipe together, they are quite easy. You can even enlist the help of your kids for some of the steps! 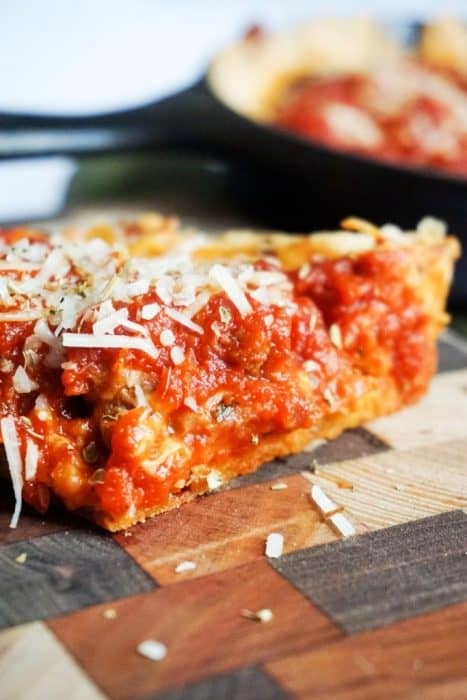 The Best Low Carb Pizza | Deep Dish! And here we have the third pizza recipe on the list. If you thought your deep-dish pizza days were behind you, think again. The pizza crust gets cooked first in the oven (in the skillet), and then the full pizza is cooked. 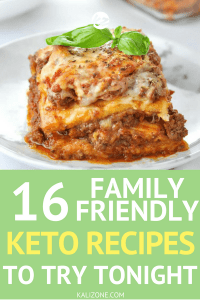 This keto lasagna uses homemade ‘noodles’ made up of cream cheese, parmesan cheese, mozzarella cheese, and eggs. It is almost impossible to tell that this is low carb. 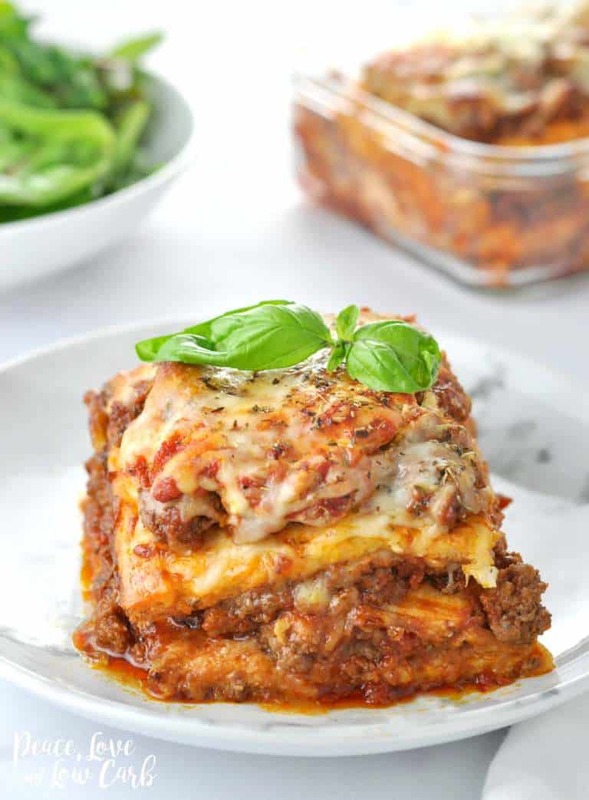 In fact – you may find it tastes better than ‘traditional’ lasagna! 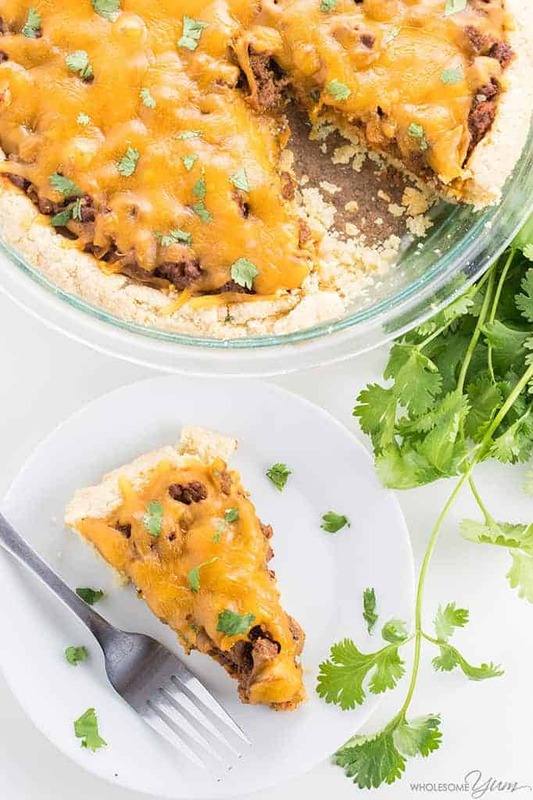 Tamale pies are traditionally made using cornmeal. But while conr is gluten-free, it is quite high in carbs. 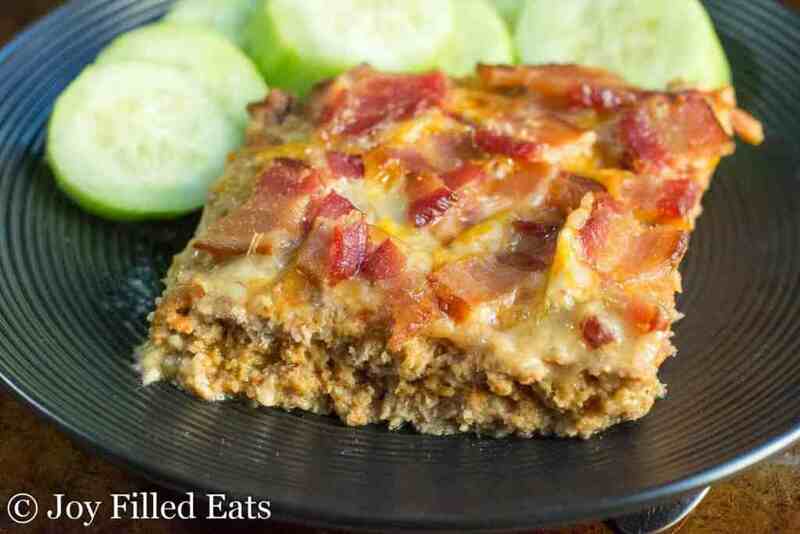 To make the Easy Tamale Pie Casserole Recipe, the cornmeal was switched out with almond flour. Easy peasy! 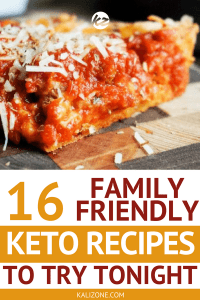 Did you enjoy “16 Family Friendly Keto Recipes”? I would love it if you shared it with your friends on Pinterest!